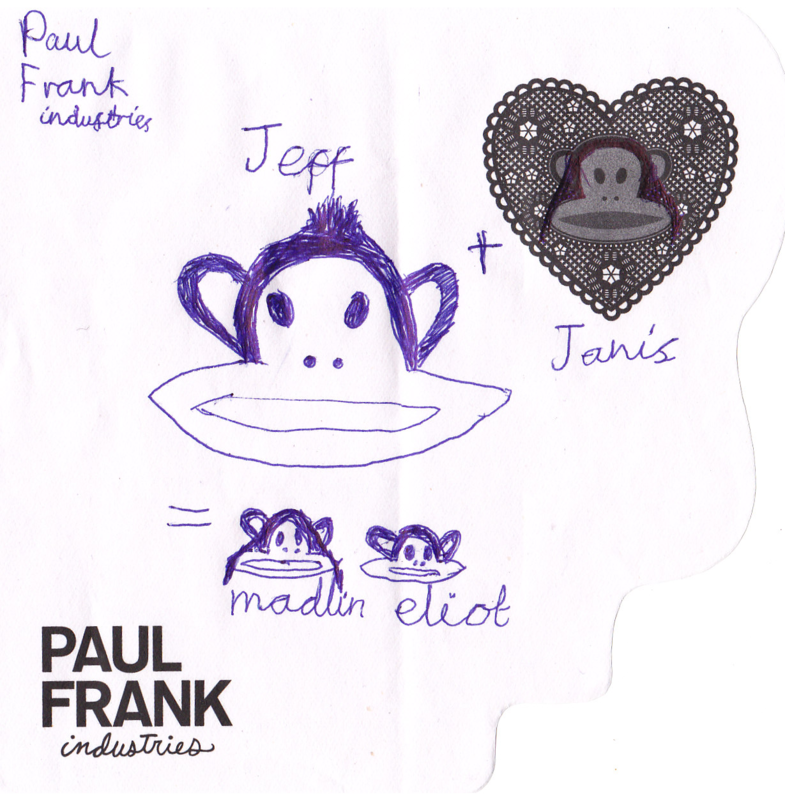 A couple weeks ago I was offered the chance to come along to the Paul Frank Bicycle Film Festival at the Barbican, complete with a family screening of ET and some amazing art workshops with Paul Frank. You can imagine how gutted I was to find it was the same day as a big family gathering I'd been looking forward to for months. 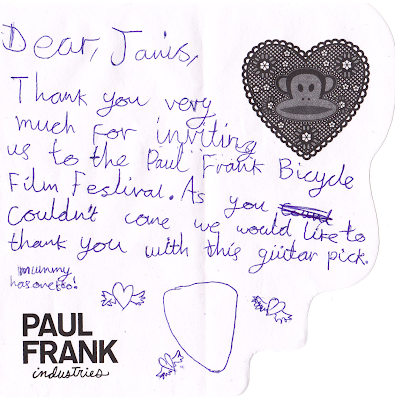 The empty guitar-pick-shaped space did indeed contain a Paul Frank guitar pick, featuring Julius wearing some sunglasses. It's gone straight into service (read this if you're wondering why) so I haven't scanned it! For added super-loveliness, the kids also drew this lovely picture / mathematical equation of me, my husband, and our children. If this made you smile, please give it some love below!! PS - If you want to read Dino's review of the Paul Frank Bicycle Film Festival, click here! Oh look at the little hearts flying around the guitar pick!! !